Suppose a guest drinks too much at your Christmas party, gets in his car, and cripples someone. You could be held liable and ordered to pay a huge judgment. Will you have enough insurance? Not having adequate liability insurance is one of the most common holes in a financial plan. Paying a big judgment out of your own pocket could be financially devastating. Car crashes aren’t the only cause for concern. Your dog may bite someone. A nanny or a home health aide might sue you for causing physical harm and/or wrongful termination. Your kid could be accused of cyberbullying. Anybody with any significant assets or earning power needs to plug that hole. Because auto and homeowners insurance often aren’t sufficient, the only solution is a personal umbrella policy. Some types of assets are shielded by state and federal law. A court cannot force you to use qualified retirement accounts, such as 401(k)s, to pay a legal judgment, and most states have laws protecting traditional IRAs. Some states protect Roth IRAs and other retirement accounts, too. Some states offer very strong protections for your primary residence, while other states only shield a limited level of home equity. However, second homes, nonretirement investment accounts, and even future earnings are vulnerable. Courts can garnish wages. Homeowners insurance usually includes up to $300,000 of personal liability coverage. The typical renters’ policy offers $100,000 of coverage. All renters should have insurance. Auto insurance typically covers up to $250,000 for each person and $500,000 per accident involving bodily harm, and less for incidents that involve only property damage. However, in some states a bare-bones policy may provide as little as $10,000 of protection. 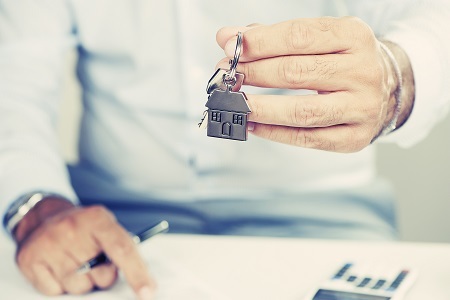 If you don’t have many assets beyond your retirement savings plans and your primary residence, basic home and auto insurance may be sufficient. But lawsuits can sometimes result in judgments or settlements for millions of dollars, far beyond the highest limits you can get on auto or homeowners policies. There are other liability risks too. The hyperconnected world of social media creates many more opportunities to libel someone. Teenagers could create such problems, which expose their parents to liability. Serving on the board of a nonprofit could also expose you to a lawsuit. Joint and several liability makes people with money vulnerable. In many jurisdictions, a plaintiff can recover all the damages from any of multiple defendants, regardless of fault. If four defendants are all found equally liable, the plaintiff can recover 100% of damages from one of them and nothing from the other three. If you’re the one with the most money, the lawyer will come after you first. All these factors mean you may need more liability insurance. A personal liability insurance policy—a so-called umbrella policy—provides a minimum of $1 million in coverage, in addition to your home and auto liability coverage. It also covers you for things such as libel and slander that aren’t otherwise covered. A $1 million policy is adequate for most people, but some need more. A good rule of thumb is to carry at least enough insurance to cover your net worth and the present value of your future income stream. A certified financial planner or an insurance agent can help you with such calculations. Online tools and advice from insurance outfits will tend to recommend more insurance than you may need, but it’s still useful to see what factors will affect your needs. For instance, you might want more insurance if you own a trampoline or a pool. Once you determine how much you need, the next step is to buy a policy. Umbrella policies offer a good value. They cost relatively little because catastrophically large lawsuits are still relatively rare. A $1 million policy usually costs about $150 to $300 per year, according to the Insurance Information Institute (III). Each additional million dollars will cost less than that, the III says. You don’t have to buy the umbrella from the same company that insures your home and cars, but it’s a good idea. Consolidating your coverage with one company makes it easier to spot potential gaps. For instance, if your homeowner’s insurance covers $300,000 in personal liability insurance but your umbrella policy does not kick in until $500,000, you will be responsible for the $200,000 in between. Most companies that sell umbrella insurance require customers to increase their base liability coverage to fill such gaps, but it’s wise to check. Sticking to one company for home, auto, and umbrella gives you discounts. It also makes the process simpler in the case of a lawsuit, since you will not have two separate companies handling two portions of your coverage. Shomari Hearn, Certified Financial Planner (CFP®), is vice president of Palisades Hudson Financial Group, based in its Fort Lauderdale, FL office. Palisades Hudson Financial Group is a fee-only financial planning firm and investment manager based in Scarsdale, NY, with more than $1.2 billion under management. It offers financial planning, wealth management, financial management and tax services. Branch offices are in Atlanta; Austin, Texas; Fort Lauderdale, Florida, and Portland, Oregon.